The photos with this guest post are from my collection. Click on Originally Published to see more. One of the aspects of my trips to China, that I truly enjoyed, was seeing all of the flowers, greenery, and gardens along the way. I wanted to specifically mention this fact, and state, the photos you might have seen of typical Chinese landscapes are true. In fact, there were many more beautiful sights – of plants and flowers – than I had anticipated. I saw them in cities – in the country – in hotels – in restaurants – in offices – and other places too numerous to mention. 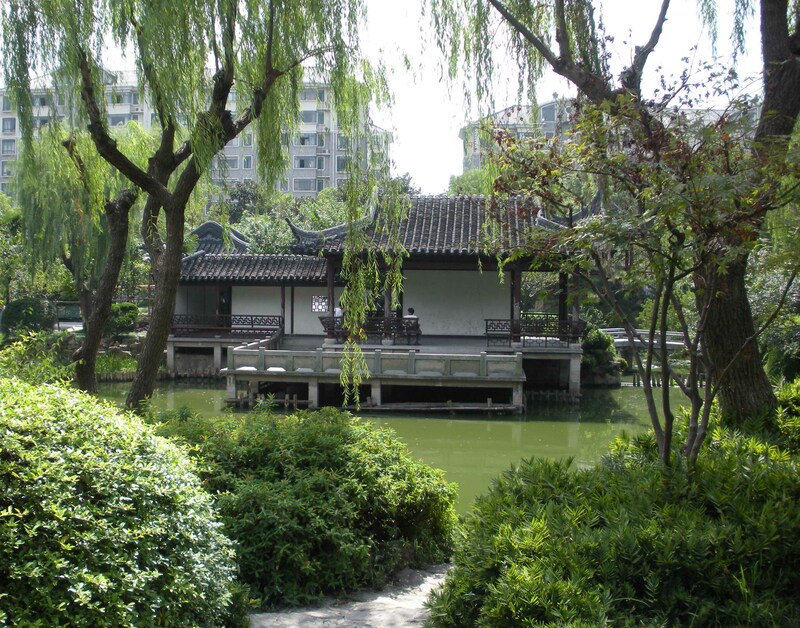 Our office was in southern China – with a tropical climate – so there were flowers and greenery there any time of the year I visited. As you go farther north, in China, there are the four seasons; however, even when it was too cold for outdoor plants there were many indoor ones wherever I went. I do not enjoy planting or maintaining plants but I certainly like looking at them. 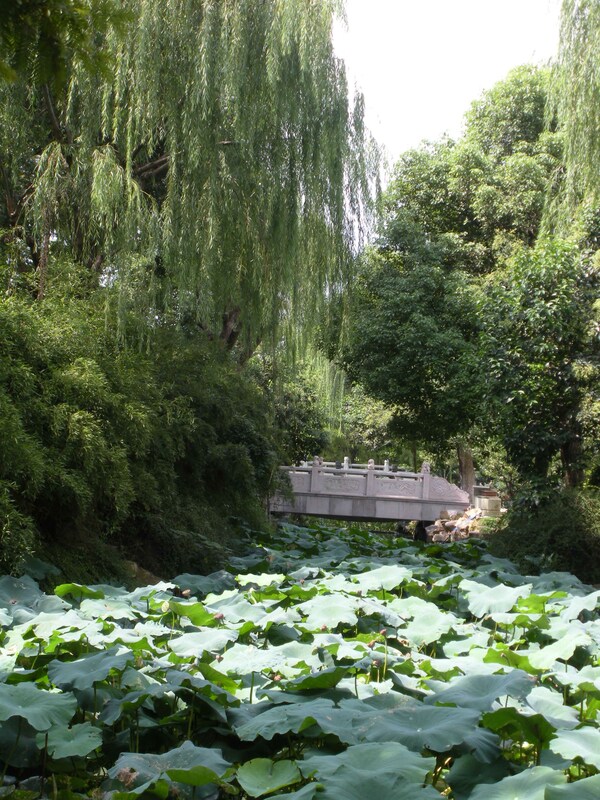 The growing scenery I saw in China always gave me a feeling of tranquility. I had once thought about buying a condo in Shenzhen so I could stay longer when I visited. One of the condos had a small patio (this was a multistoried condo building) and each patio came with a beautifully planted garden with flowers, plants, and trees. It was a place where I would have enjoyed going every evening and just sitting. It was covered so I could have enjoyed it in most types of weather. Because I never stayed in the Western type hotels – rather staying where my Chinese associates stayed – I was treated to a unique insight on how some of the Chinese population lived. Some of the hotels – where I stayed – were literally right next to apartment buildings. I could actually look out my window into those apartments. I can’t say that I saw anything “personal” in nature but I did get to see how some Chinese decorated their apartments and balconies. I could also see the gardens many planted on the rooftops of their apartment buildings. Staying in those places certainly gave me even more appreciation of the Chinese people in that I saw a side of their lives that most “Westerners” would never see unless they stayed in places where I stayed. This entry was posted on Wednesday, March 17th, 2010 at 08:00 and is filed under China, Chinese Culture, environment, tourism. You can follow any responses to this entry through the RSS 2.0 feed. You can leave a response, or trackback from your own site. The font size may be caused by WordPress–the host for my Blog. You may have an option that allows you to increase the size of the image on your screen. The option that I have shows as a percentage like 150% in the lower right hand corner of the screen. There is a down arrow to the right of that percentage that allows me to decrease the size of the image or increase it. At my whim, I may change the image to 50% or 400% easily.